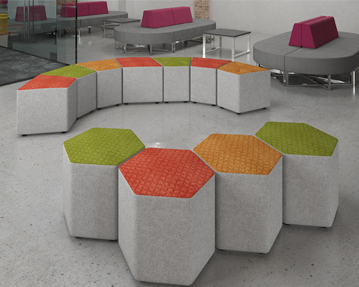 At Furniture At Work, we offer a wide range of multi-functional, modular seating solutions. These chairs offer a completely flexible solution for any breakout area, providing you with a bespoke piece of furniture to suit your office space. This type of seating can be used individually or arranged in a variety of configurations, allowing you to create a relaxed area for employees to meet informally, whether they’re taking their lunch break or having a group discussion. 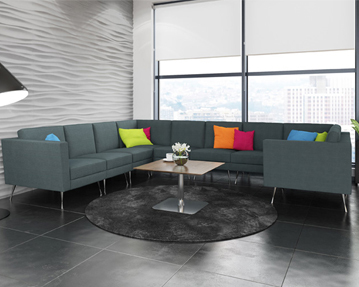 You can choose from a range of different fabrics types and colours to make sure your modular seating perfectly complements your overall office decor.